Due to illness I wasn't able to get my Halloween special ready in time this year (sorry! 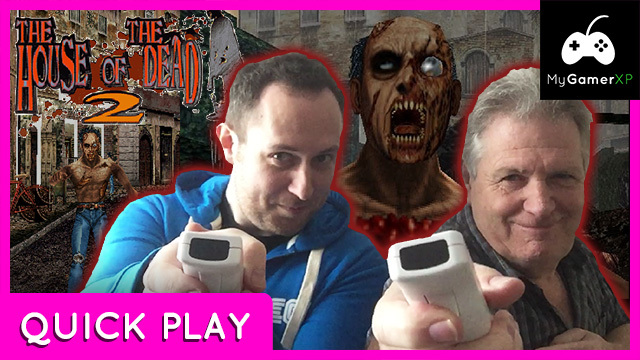 ), but thankfully my Dad agreed to join me in this quick play video for House of the Dead 2!We both have a lot of nostalgic memories for this game as we always used to play it in the arcades on holiday. I dread to think how many coins my dad sunk into the machine for us when I was younger. We loved the first game (and completed it) so when House of the Dead 2 came out it was amazing. I think this is our combined favourite title out of the entire series.This video was actually our second attempt (on Normal/Arcade difficulty). I may even upload the first attempt later on this channel or my "extra"/side one as there were some funny moments in that too.If you enjoyed this video and would like to see more of us revisiting old games, please give it a like and let me know in the comments below. 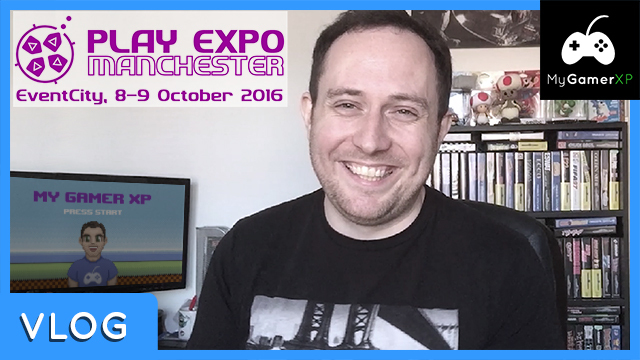 This year I returned to PLAY Expo in Manchester, making it my third visit to this great retro gaming event! How did it compare to previous years? 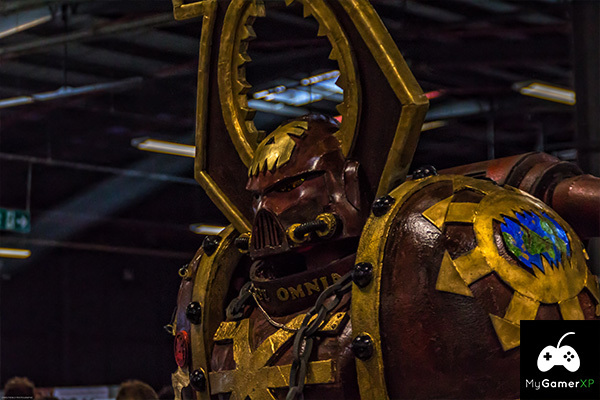 I think I can safely say it has been my favourite PLAY Expo experience yet, but there's a lot more to say than just that. As soon as I entered the building, the layout felt more compact and compartmentalised than previously. It seemed more organised and made efficient use of the space. We were greeted with friendly staff and two replica cars from the Transformers movie I had seen on my previous visit back in 2014.There was a great mix of retro consoles, indie developers, shops/sellers, arcade units, pinball machines, and even some new games (such as playable versions of the upcoming Tekken 7!). 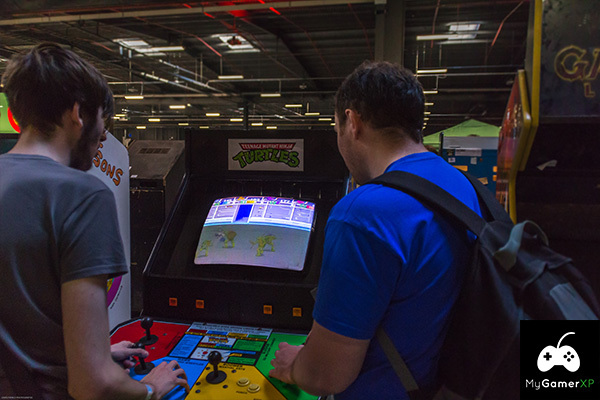 I felt this catered well to a variety of gamers, as well as families in general, even those who were not possibly into video games but were brought along to the event.My only thought for 2017 would be to provide a printed leaflet of the layout and stage times for things such as games demonstrations and talks. I was asking around all day when the Tomb Raider talk was supposed to start and no one seemed to know. Not many people knew where the bar was either. I think it would help prevent missing out on these talks and raise awareness to what's available at the show. 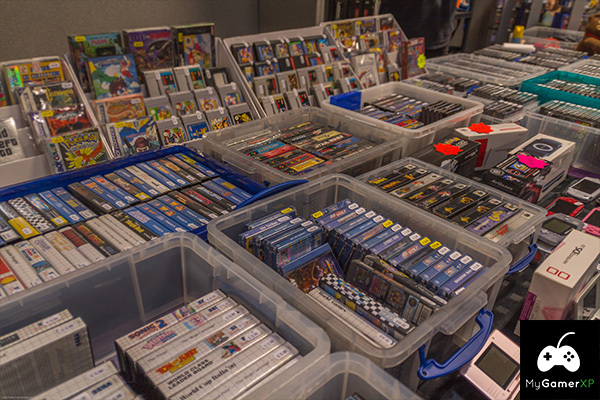 Last year one of the biggest disappointments for me was the prices for retro games, exceeding most eBay "Buy it now" listings (including postage) which were already inflated. This year still had a few of those, but there was a lot more independent sellers and bigger stores selling at reasonable prices. I don't bother checking prices online when buying from a seller, as I already have an idea of how much things are worth and I'm happy to pay what I feel is fair. This is fortunate for me as there was no 3G/4G signal, and no one (including staff) had any idea what the press WiFi password was. There was a great selection of handmade items available too. 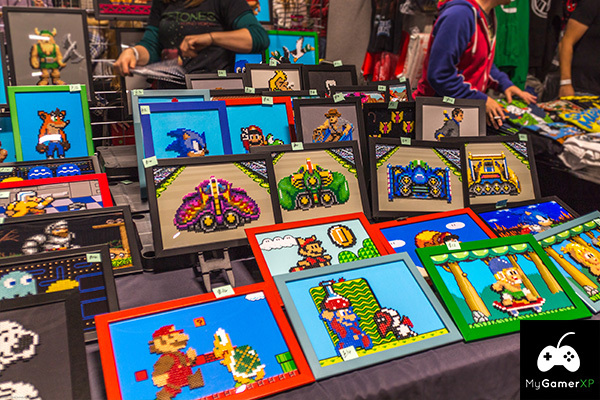 Everything from Tavington Craft's fantastic plush gaming items to pixel bead art and more. Overall the prices for all things seemed generally reasonable and I came home with some great purchases. I was so excited to find the return of the deluxe Out Run and After Burner arcade units! I had the opportunity to experience them in 2014, but they were absent last year. 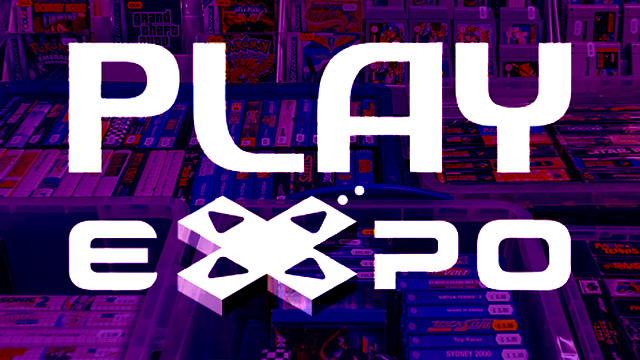 In fact there was a wide range of excellent titles available including Power Drift, Time Crisis 1 and 2, House of the Dead 1, Teenage Mutant Ninja Turtles, The Simpsons, seriously there were so many I used to play in the arcades. A fantastic selection. The same can be said for the Pinball Tables and the vast array of consoles setup with games to play. Everyone seemed to be having a great time and with the exception of Out Run and After Burner, the wait time to play them wasn't too bad. You get the occasional people who hog the machines, but thankfully there is plenty to choose from, so it's best to move on when people are like that and come back later. Everything is free-to-play (no "insert coin" required! ), so this area is worth the entry fee alone! 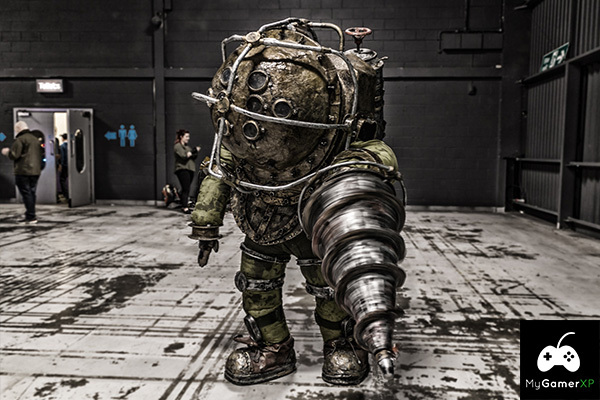 I haven't really talked too much about cosplayers in the past, but this year had some really impressive examples including a giant Chaos Marine and Big Daddy (BioShock). 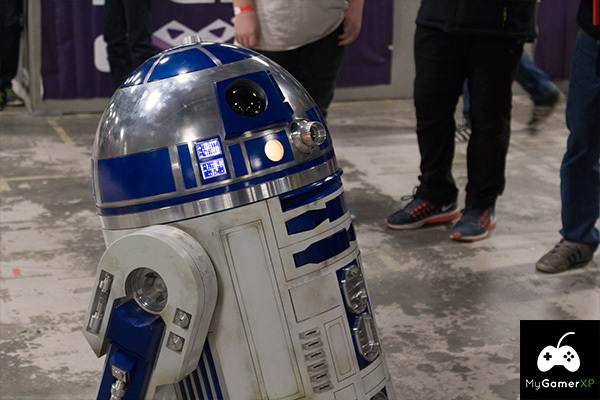 There was even an R2D2 going around. I couldn't find who was operating it, but whoever it was did a fantastic job of entertaining the crowd. Tekken 7 was one of the games I was most excited to play this year. There were multiple PS4s setup so the wait times were short and there were a few other games available to try as well. The graphics and gameplay were awesome and I'm really looking forward to this one coming out!As for the Indie games, nothing really caught my eye this year. I was secretly hoping for maybe playable demos of Yuka-Laylee or Sonic Mania, but they weren't there. For those of you who love indie titles though, this is an absolutely fantastic opportunity to try out some upcoming titles and talk with the actual developers themselves. Previously, I've thoroughly enjoyed talking to them, but there was way too much to fit into just one day, so I didn't get as much time in this area as I'd have liked. 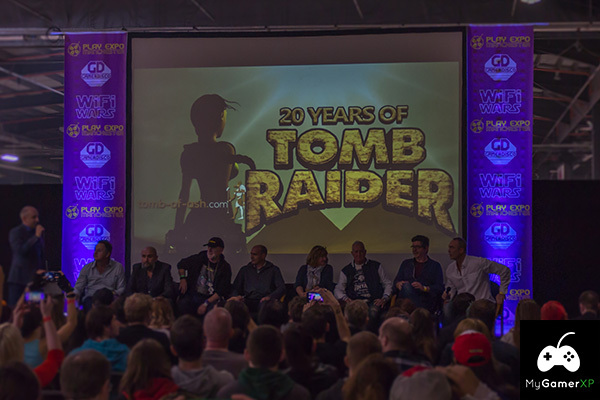 One of the biggest moments I was looking forward to at PLAY Expo was the 20th Tomb Raider Anniversary Celebration. Being such a huge fan of the game (I even recently made a video about the original Tomb Raider), it was fantastic to hear from the various developers and composer Nathan McCree, who's music for the game is simply amazing. I loved his comments and explanation of how he approached the main theme. I only wish I'd got around to meeting him and the rest of the team afterwards. 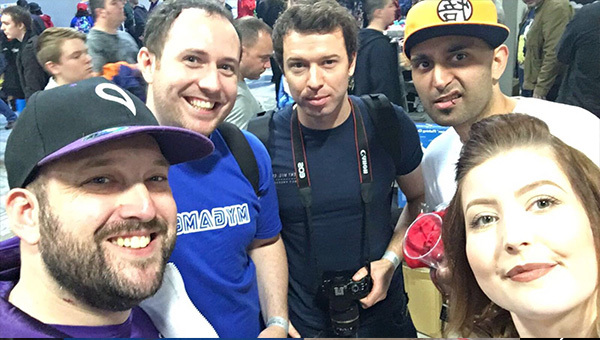 A real highlight for me this year was the opportunity of meeting so many incredible people from the retro gaming community I talk to on Twitter, YouTube and other social networks including Onaretrotip, TootyUK, EternalSteph, EternalNav, RetroJoe, Retro Rich, RichX, TorAthena, 0ctav1us1, Michael Gaime, GaminGuys (Neil) and more. I even got to meet with the awesome GamesYouLoved who interviewed me (eeek! ), so keep an eye out for that! I'll post/share it when I get the chance.There were so many awesome and genuinely nice people there. 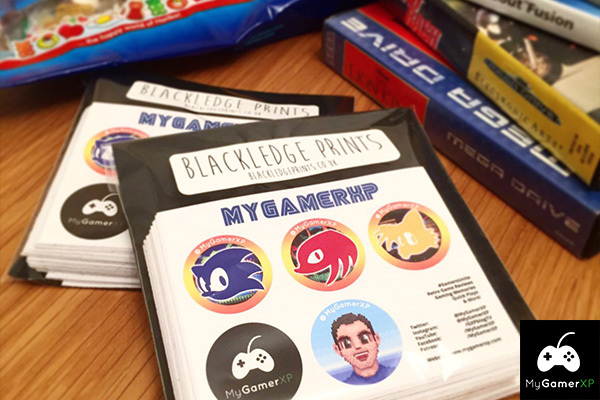 I tried to give out my stickers to everyone who supports my growing Twitter page and YouTube Channel as a thank you for all your generosity, kindness and support. 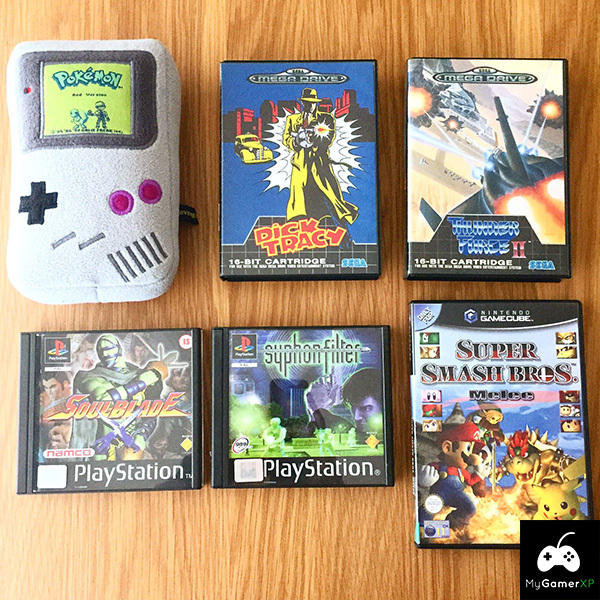 I also gave out a couple of free retro games, so if you were lucky enough to get one of those, I hope you enjoy them! I got to make some new friends too, as this event seems to attract people with such a great attitude and obviously the shared interest/love for retro gaming. I absolutely love this community and will have a new "Gamer Spotlight" article coming soon. 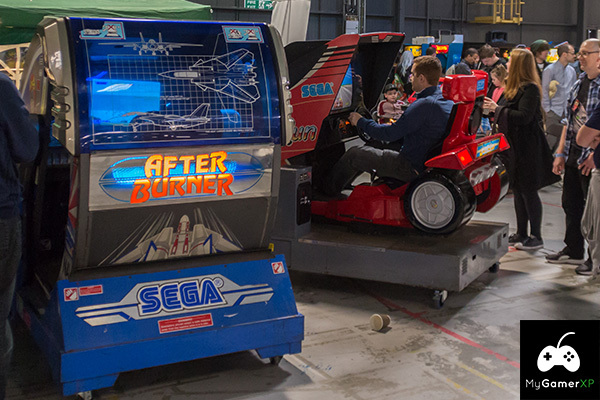 This year's PLAY Expo in Manchester has to be my most favourite yet. The other ones were incredibly fun too, but this year got the right balance; an excellent selection of retro games to play (arcade, console, pinball, even card games and board games too! 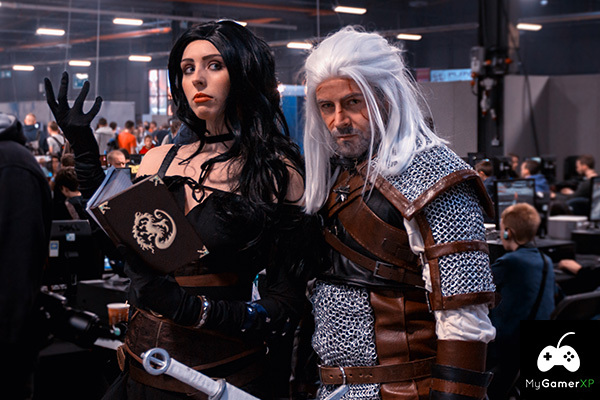 ), celebrating 20 years of Tomb Raider, trying out Tekken 7, generally reasonable prices, great atmosphere, and getting to meet so many amazing people!The Monday that followed was SO bad, I really had the post-PLAY Expo blues which I had never experienced before (many others did too). All I can really say now is that I can't wait for 2017!! !If you went to the event I'd love to hear what you thought of it too (comment below). 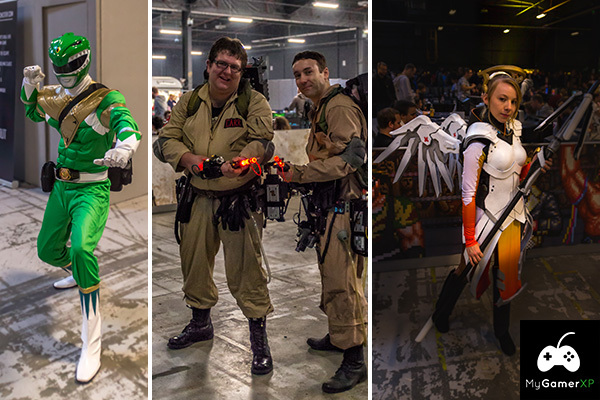 Please also let me know if you were one of the cosplayers in the photos above and I will try to give credit where possible (I'm also happy to send you a high-res version of the photo if you want one).A special thank you goes to Lewis for taking the photos. You did awesome mate! Space Harrier 2 was developed and published by Sega back in 1988 as a launch title for the Mega Drive in Japan. It was then made available for the US launch of the Sega Genesis in 1989 and for the PAL/European Mega Drive in 1990.The original Space Harrier was one of many popular arcade games made by Sega that used sprite-scaling technology to achieve a 3D effect. Other titles include Hang-On, Out Run and After Burner which most people are familiar with.Unfortunately the system hardware for the Mega Drive and Genesis wasn't able to handle sprite-scaling, so a compromise had to be made where each enemy and part of the landscape was pre-rendered at different sizes to give a similar illusion. This resulted in the projectiles being harder to avoid and the game looking a little bit choppy, but for the time this was forgivable and still much more impressive than any of the ports of the original game on other systems.Visually, Space Harrier 2 holds up pretty well to its arcade predecessor, keeping with the surreal, psychedelic, space greek-inspired theme. There's a fair amount of familiarity with enough new enemies and bosses to keep it interesting over the 12 stages which you can play in any order, followed by an added final stage if you can complete them all. Something I've never been able to achieve due to its high difficulty.The gameplay here is as fun as ever and ideal for playing in short bursts. Sega's original approach of creating arcade games for it's home console wasn't quite as successful as they'd hoped, as most people wanted more longevity and value from their video games; a lesson they were quickly learning from their biggest competitor Nintendo and which led them to eventually create Sonic the Hedgehog.In terms of audio, we're no longer welcomed to the fantasy zone and the main theme tune is unfortunately absent. The game does boast some digitised speech which was impressive for the time and the new music is still pretty good. It's just that the original introduction and theme tune are so iconic. I would have loved to have that still in there.Over the years, Space Harrier hasn't quite received the same treatment from Sega as After Burner and Out Run. After Burner Climax and Out Run 2 were fantastic true 3D sequels and I really wish they'd done something more with this other than just the odd tribute here and there in games like Bayonetta and the fairly uninspired 3D version that came as part of the Sega Classics Collection on the PlayStation 2. 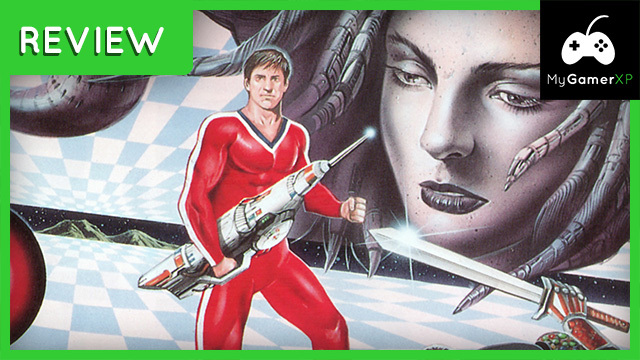 Be sure to check my review of that if you haven't seen it already.If you have any fond memories of this game of the original Space Harrier I'd love to hear about them in the comments below. If you enjoyed this video, please consider hitting the like button, subscribing and sharing it with your friends and as always thanks for watching, take care and I'll see you in the next video! I remember the first time I saw the Indiana Jones movies and the impact it had on me. When I was just a little boy these adventurous stories glued me to the screen as I watched them over and over again. Exploring hidden tombs in search for long lost artifacts, whilst avoiding traps, solving puzzles and dispensing of bad guys filled me with wonder and excitement.Sure, they released an Indiana Jones game on the Mega Drive, which I'll no doubt cover in the future, but when Tomb Raider burst onto the scene I was blown away. This was quite possibly the first fully 3D game I'd ever experienced. Before that I'd played games like DOOM, but nothing like this; A true 3D adventure platformer!1996 was the year of my first PC, running on Windows 95. I remember thinking "surely it should be Windows 96? Is this the old version?" and being VERY impressed with it's 3GB of hard disk space. Until this time I was gaming on my trusty Mega Drive, Game Boy and the odd LCD handheld device such as my Ninja Turtles games, so when I saw the FMV sequences it was a significant jump for me. I used to keep restarting the game just to watch them. I also used to wonder if games would ever look as good as they do in these cut scenes, which of course they do now. Much better in fact.Whilst the controls aren't quite perfect and take a little bit of time to get used to nowadays, they were impressive at the time. A lot of early 3D games suffer from bad controls and awful camera glitches as to be fair, the developers were still learning and experimenting with this newly added dimension. You can see from Lara Croft's vast array of moves that an incredible amount of detail went into her animations, abilities and the accuracy of her movements.When I first played Tomb Raider I was not disappointed. The environments, puzzles, secret areas and collectibles, the enemies, the atmosphere… I still enjoy it to this day. I was amazed and it felt like a true interactive experience of a story much like the old Indiana Jones movies I love so much.One of the most memorable moments for me in the first game was exploring the Lost Valley and discovering dinosaurs. Jurassic Park was another big movie from my childhood, so having to fight velociraptors and a giant T. Rex was pretty awesome!Of course, perhaps the fondest memory I and a lot of people have of Tomb Raider comes from it's sequel, which I also owned on the PC. How many of you enjoyed locking the Butler in the freezer?! This creepy old guy used to shuffle about and follow you all over Lara's mansion.Another thing that sticks out in my mind is the rumours on the school playground and in games magazines at the time. So many people used to talk about the "Naked Lara" cheat which just wasn't possible. Well, maybe on the PC with a texture hack, but certainly not on the PlayStation 1 or Sega Saturn releases. I did enjoy how Core Design teased at this infatuation in the shower scene ending of Tomb Raider 2. I felt that was a nice touch.There was a time when the success of Tomb Raider and the obsession over Lara Croft dominated the media, with computer generated "photo shoots" in magazines and appearing in Lucozade adverts. Who remembers those? Gaming expos also featured real life models like Nell McAndrew and eventually there were even two films made which weren't too bad. The whole history of Tomb Raider is a subject that really interests me, and is something I'd like to cover in the future.As for the original game, I feel it is one of the early 3D titles that has actually aged quite gracefully. It's far from perfect by today's standards, but it was great for it's time and Lara Croft therefore is rightfully considered as a gaming icon. Her most recent outing in "Rise of the Tomb Raider" is absolutely amazing and well worth playing if you haven't already. There was also a remake of the original released back in 2007 called "Tomb Raider Anniversary" which was available on the PS2, PSP, PS3, PC, Xbox 360 and the Wii. 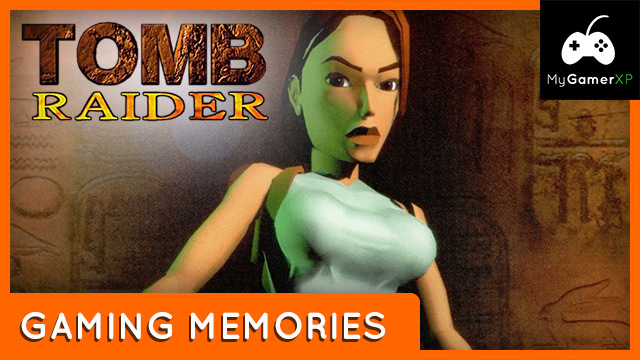 I really enjoyed this as well.If you have any fond memories of the early Tomb Raider games I'd love to hear about them in the comments below. If you enjoyed this video, please consider hitting the like button, subscribing and sharing it with your friends and as always thanks for watching, take care and I'll see you in the next video!